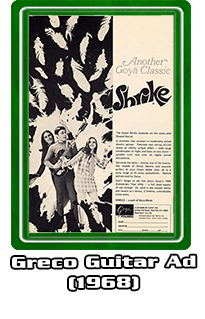 a 10-string - "symphony of sound"
A little walk through Japanese guitar history: Goya/Greco manufactured guitars since the early 1960's at the legendary Fiji-genGakki Plant. 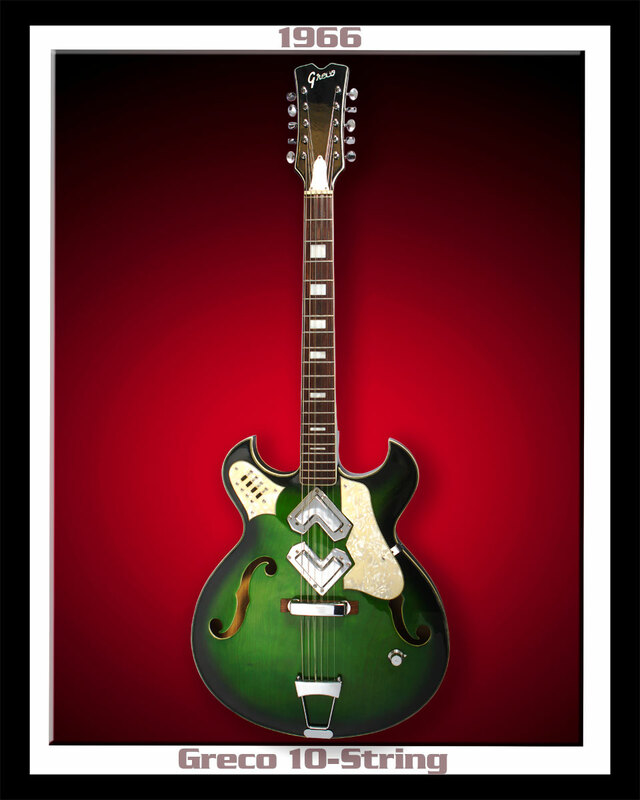 Greco was also one of the pioneers of the Japanese "Outlaw" lawsuit guitar-era. Here's one of the rarest oddity of the late 1960's that ever came out the of Far-East... the birth of the "Electric" 10-String Guitar!!! 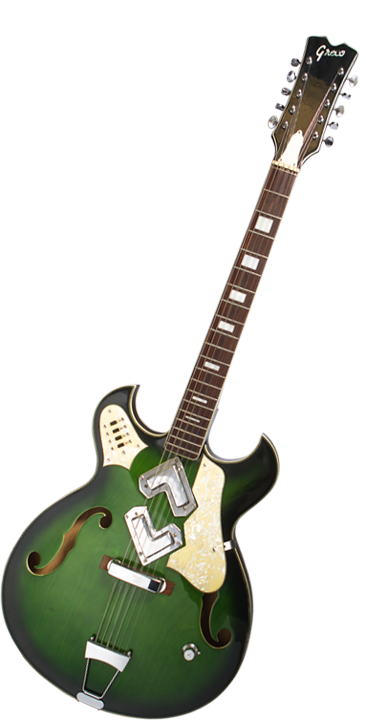 This rare 1968 Greco "Shrike" 10-String model featured those amazing "Boomerang" pickups. The "Boomerang" pickups, when driven hard, get really "down and dirty" with just a twist of the volume knob. The pickup selector switch basically gives the bridge, neck and the combo setting its extraordinary tonal value. 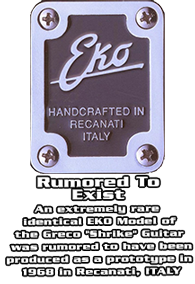 All the "Shrike" models were manufactured with this amazing built-in quality and were considered, at the time, Greco's top of the line Electrics. So much quality were put in to these "Shrike" models that it actually cost more to produce them... then they could ever sell for in the 1960's. 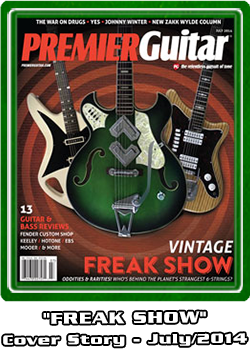 This is why the Greco "Shrike" guitar line was only produced for 1 year in 1968. A wonderful and rare example of "First Golden-Age" of Japanese Guitar Building.